Gynostemma pentaphyllum / Jiaogulan is a plant native to Eastern Asia. It has been used in traditional Chinese medicine for centuries, and recently it has come to the focus of many researchers due to its anti-cancer properties. The extract of this plant contains high amounts of flavonoids and gypenosides, noted for their antioxidant effects. In skin cells, this extract was shown to prevent UV-induced damage and cell death. Furthermore, it is able to reduce the levels of matrix metalloproteinases (enzymes responsible for collagen degradation), thus its applications are likely beneficial for skin collagen maintenance. It is also investigated as a promising drug against skin reddening and inflammation, observed in diseases like psoriasis. NOTE: To assist you with solubility issues, we now also sell Gynostemma (Jiaogulan) as a liquid standardized pre-dissolved solution. Just add the liquid to your cream and mix well. 11% solution gives 1% Gypenosides content in final product. 32% solution gives 3% Gypenosides content in final product. 53% solution gives 5% Gypenosides content in final product. Gynostemma pentaphyllum, also known as jiaogulan, is a plant from the cucumber family, growing naturally in China and other parts of East Asia. Although it has been used for centuries in Chinese traditional medicine, the actual components and mechanisms responsible for the medicinal activity of this plant are still being investigated. Recently, it has attracted more attention from the science community due to its potential in preventing various types of cancer . Most research is focused on gypenosides – these molecules belong to a class of compounds called saponins, often found in plants. However, gypenosides found in Gynostemma can inhibit inflammation, prevent cardiovascular disease, protect from oxidative stress, and have other health benefits, thus contributing to the many medicinal properties of Gynostemma extract . Among the best known properties of gypenosides is their antioxidant effect. Under oxidative damage, cell membranes tend to become less fluid, disrupting many processes in the cell. Gypenosides can reverse this change, effectively protecting the cells from injury and death . In fact, they are known to prevent various types of oxidative damage, and even reduce the likelihood of DNA mutations . Furthermore, Gynostemma pentaphyllum extract contains additional molecules with strong antioxidant properties, such as flavonoids and even polysaccharides (sugars) that are able to neutralize free radicals , . The polysaccharides found in Gynostemma are also promising for treatment of skin diseases, such as psoriasis – they reduce the production of inflammatory signals that lead to this disease . Gypenosides have an additional effect on matrix metalloproteinase enzymes. These enzymes are known to degrade collagen – under UV exposure, for example, the levels of these enzymes increase, resulting in skin damage and aged appearance . Gypenosides were shown to reduce the amounts of these metalloproteinases, thus preventing collagen degradation and even tumor cell migration . The overall skin benefits of Gynostemma pentaphyllum extract were confirmed in a study with mouse dermal cells. After UV exposure of 3 h, complete cell death was observed among these cells. However, application of Gynostemma extract at various concentrations up to 5 mg of material per mL resulted in strongly increased lifetime of the cells, most likely due to the neutralization of oxidative agents produced under UV . Many cosmeceutical preparations suffer from poor absorption through skin. While dermal transport of gypenosides has not been investigated yet, a related molecule called ginsenoside has been studied well, and it was shown to be transported easily even at low concentrations . Since the molecules of gypenosides have similar size and structure, it is reasonable to conclude that their absorption is equally effective. 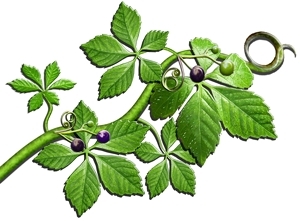 Furthermore, no adverse effect of Gynostemma extract has been observed, even at high doses . C. Kulwat, N. Lertprasertsuke, P. Leechanachai, P. Kongtawelert, and U. Vinitketkumnuen, “Antimutagenicity and DT-diaphorase inducing activity of Gynostemma pentaphyllum Makino extract,” J. Med. Investig. JMI, vol. 52, no. 3–4, pp. 145–150, Aug. 2005. F. Aktan, S. Henness, B. D. Roufogalis, and A. J. Ammit, “Gypenosides derived from Gynostemma pentaphyllum suppress NO synthesis in murine macrophages by inhibiting iNOS enzymatic activity and attenuating NF-kappaB-mediated iNOS protein expression,” Nitric Oxide Biol. Chem. Off. J. Nitric Oxide Soc., vol. 8, no. 4, pp. 235–242, Jun. 2003. L. Li, L. Jiao, and B. H. Lau, “Protective effect of gypenosides against oxidative stress in phagocytes, vascular endothelial cells and liver microsomes,” Cancer Biother., vol. 8, no. 3, pp. 263–272, 1993. Y. Quan, Y. Yang, H. Wang, B. Shu, Q.-H. Gong, and M. Qian, “Gypenosides attenuate cholesterol-induced DNA damage by inhibiting the production of reactive oxygen species in human umbilical vein endothelial cells,” Mol. Med. Rep., vol. 11, no. 4, pp. 2845–2851, Apr. 2015. K.-C. Tsui, T.-H. Chiang, J.-S. Wang, L.-J. Lin, W.-C. Chao, B.-H. Chen, and J.-F. Lu, “Flavonoids from Gynostemma pentaphyllum exhibit differential induction of cell cycle arrest in H460 and A549 cancer cells,” Mol. Basel Switz., vol. 19, no. 11, pp. 17663–17681, 2014. Y. Niu, P. Shang, L. Chen, H. Zhang, L. Gong, X. Zhang, W. Yu, Y. Xu, Q. Wang, and L. L. Yu, “Characterization of a novel alkali-soluble heteropolysaccharide from tetraploid Gynostemma pentaphyllum Makino and its potential anti-inflammatory and antioxidant properties,” J. Agric. Food Chem., vol. 62, no. 17, pp. 3783–3790, Apr. 2014. X.-L. Li, Z.-H. Wang, Y.-X. Zhao, S.-J. Luo, D.-W. Zhang, S.-X. Xiao, and Z.-H. Peng, “Purification of a polysaccharide from Gynostemma pentaphyllum Makino and its therapeutic advantages for psoriasis,” Carbohydr. Polym., vol. 89, no. 4, pp. 1232–1237, Aug. 2012. G. J. Fisher, T. Quan, T. Purohit, Y. Shao, M. K. Cho, T. He, J. Varani, S. Kang, and J. J. Voorhees, “Collagen Fragmentation Promotes Oxidative Stress and Elevates Matrix Metalloproteinase-1 in Fibroblasts in Aged Human Skin,” Am. J. Pathol., vol. 174, no. 1, pp. 101–114, Jan. 2009. K.-W. Lu, M.-L. Tsai, J.-C. Chen, S.-C. Hsu, T.-C. Hsia, M.-W. Lin, A.-C. Huang, Y.-H. Chang, S.-W. Ip, H.-F. Lu, and J.-G. Chung, “Gypenosides inhibited invasion and migration of human tongue cancer SCC4 cells through down-regulation of NFkappaB and matrix metalloproteinase-9,” Anticancer Res., vol. 28, no. 2A, pp. 1093–1099, Apr. 2008. S. N. Lobo, Y. Q. Qi, and Q. Z. Liu, “The Effect of Gynostemma pentaphyllum Extract on Mouse Dermal Fibroblasts,” ISRN Dermatol., vol. 2014, p. 202876, 2014. Y. Kimura, M. Sumiyoshi, and M. Sakanaka, “Effects of ginsenoside Rb₁ on skin changes,” J. Biomed. Biotechnol., vol. 2012, p. 946242, 2012. N. Chiranthanut, S. Teekachunhatean, A. Panthong, P. Khonsung, D. Kanjanapothi, and N. Lertprasertsuk, “Toxicity evaluation of standardized extract of Gynostemma pentaphyllum Makino,” J. Ethnopharmacol., vol. 149, no. 1, pp. 228–234, Aug. 2013.